My son Orion loves to paint and I love and treasure every one of his paintings. There just aren’t enough rooms or walls to display them all. I keep a bin with all of his artwork and use it for all kinds of craft projects and holiday decorations. 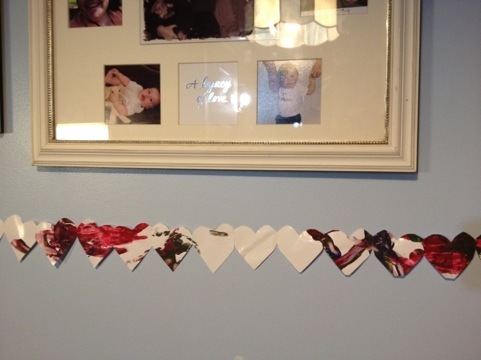 For Valentines day I used his painting to make a heart paper chain. 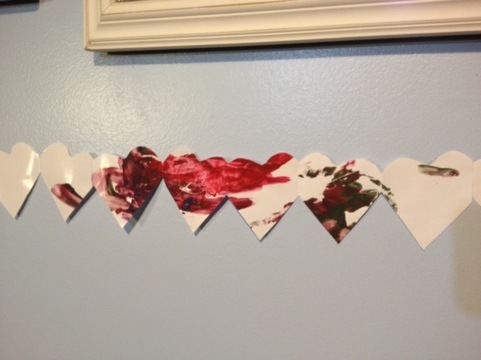 He loves seeing his artwork being put to use. I feel better knowing I didn’t just throw them all away.